The rumors were true: The Radeon R9 Fury X is water-cooled, loaded with stream processors, and looks to be an absolute beast. The wait is finally over. A year and a half after the launch of the R200-series, months after Nvidia refreshed its entire GeForce lineup, AMD has lifted the veil off its new Radeon graphics card lineup: the Fury series, powered by revolutionary high-bandwidth memory (HBM), and the company’s brand new Fiji GPU. Leading the charge is the AMD Radeon R9 Fury X, which is capable of driving Tomb Raider to 45 frames per second at 5K resolution and Ultra settings, and offers 1.5 times the performance per watt of AMD’s previous R9 290X flagship. The graphics card boasts 4,096 stream processors—an incredible jump over the R9 290X’s 2816. The Radeon R9 Fury X packs 8.9 billion transistors, compared to the R9 290X’s 6.3 billion transistors. Given that AMD—like Nvidia—is still using the 28nm manufacturing process, the Fiji GPU itself must be massive. AMD’s Fiji GPU, with nothing next to it for scale reference. Sniff. AMD never overtly said how much capacity the Fury’s HBM actually has—presumably because Nvidia’s been loading its Titan X and GeForce GTX 980 Ti with RAM—but a press release from Hynix, which actually creates said memory, puts the total at 4GB. HBM's memory clock speed tops out at a mere 1Gbps—traditional GDDR5 RAM can hit 7Gbps—but utilizes a ridonkulously wide 4096-bit interface to deliver 512GBps of pure memory bandwidth. By comparison, Nvidia's GTX 980 Ti uses a 384-bit interface and gets 336.8GBps of bandwidth. Simply put, this thing sounds like a beast. And yes, it’ll come with an illuminated Radeon logo when it launches on June 24 for $649. The Fury X isn’t the only Fiji-powered Radeon, however. An air-cooled version dubbed the Radeon R9 Fury will be available July 14 for $549, while an unnamed mega-model with a pair of Fiji GPUs is also in the works. 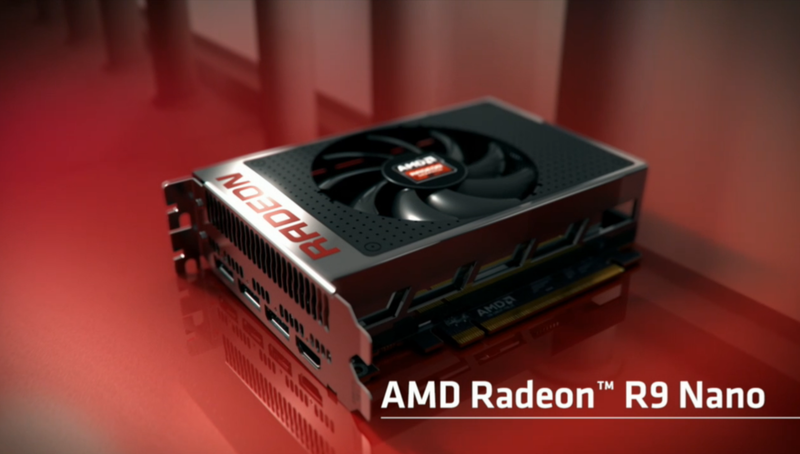 The AMD Radeon R9 Nano. AMD also took advantage of Fiji’s power savings and HBM’s space savings to introduce the Radeon R9 Nano, which measures a mere six inches in length but offers “significantly more performance than the Radeon R9 290X,” according to AMD CEO Lisa Su. It’s half the size and uses half the power of the 290X, but it offers twice the performance per watt. Cool! Look for it to land sometime this summer. AMD’s Project Quantum computer, with two Fiji processors inside. Finally, AMD marketing manager Chris Hook also took the stage to introduce “Project Quantum,” a tiny, new box-like PC that’s powered by not one, but two of AMD’s new Fiji GPUs. The computer slaps all the processing technologies in the bottom of the box, and all the cooling up top, narrowing to a filter-like pole in the center. Hook says AMD’s working with its “most elite partners” to bring the PC to market in the near future. AMD also refreshed the rest of its graphics card line, bumping its more mainstream GPUs up to the R7 300 and R9 300 series, all of which are compatible with the forthcoming DirectX 12 and Vulkan APIs—though few other technical details were revealed. 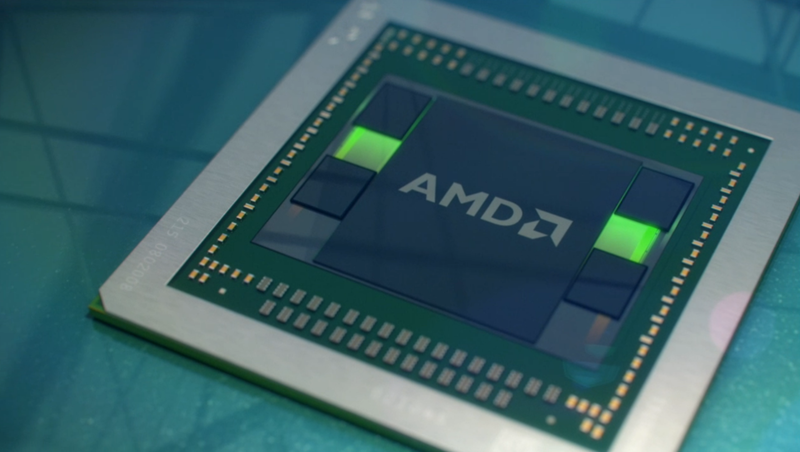 Kicking things off were the lower-end R7 offerings, which AMD says are tailor-made for playing e-sports games like Dota 2 and League of Legends at 1080p resolution. These graphics cards support the Virtual Super Resolution technology—which lets GPUs render games at a higher resolution, then downsample it to your display’s output for better clarity—that first appeared in AMD’s Catalyst Omega driver last January. 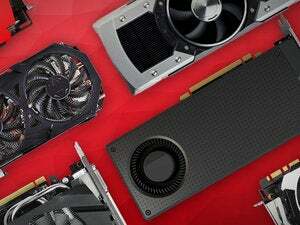 To ease the load on these modestly powered GPUs, they include a technology AMD calls “Frame rate target control,” which caps the GPU’s frame rate output in games where you get extremely high frame rates, in order to reduce power and noise needs. It sounds an awful lot like the “Dynamic frame rate control feature” AMD teased late last year. 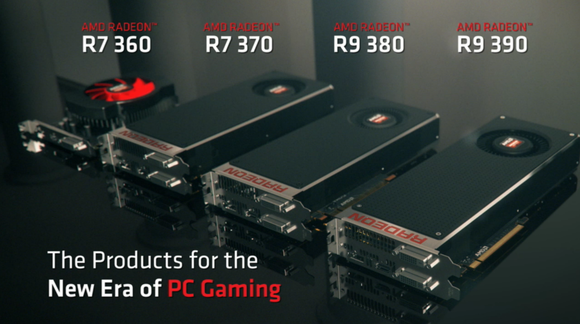 The new Radeon R300 series graphics cards, minus the R9 390X. There are two cards in the R7 300-series lineup. The Radeon R7 360 will start at $109 and include up to 2GB of traditional GDDR5 RAM, while the more potent Radeon R7 370 will start at $149 and pack up to 4GB of memory. 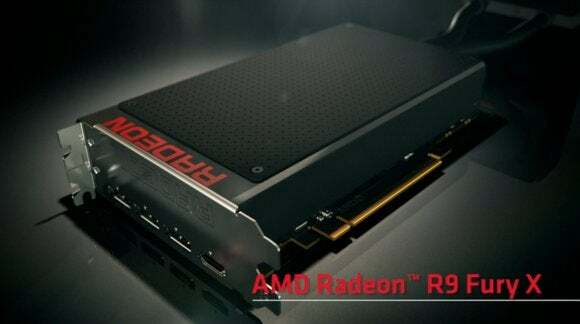 AMD also introduced a trio of more powerful Radeon R9 300-series graphics cards. The $199 Radeon R9 380 was designed for 1440p gaming, AMD says, and packs up to 4GB of memory. Meanwhile, the $329 Radeon R9 390 and $429 Radeon R9 390X each pack 8GB of RAM, presumably for a better gaming experience at 4K resolution. 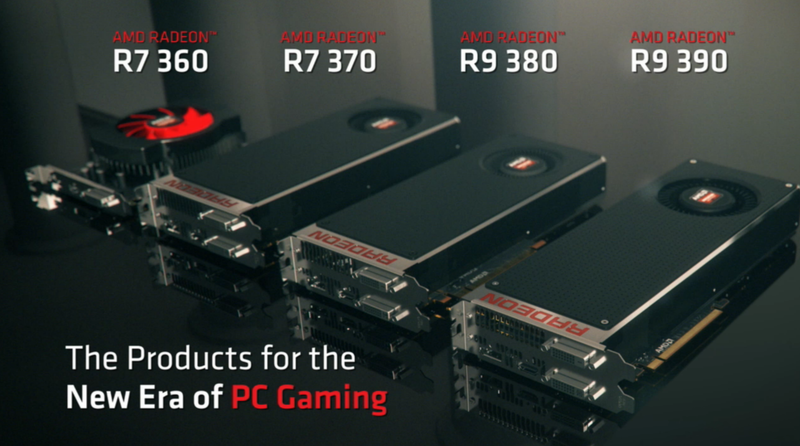 All of these new R7 and R9 300-series graphics cards will available to buy Thursday. That imminent launch is actually a bit worrisome. For the past few months, the rumor mill’s been adamant that the new 300-series Radeon GPUs are actually built around barely-tweaked GCN silicon that first made an appearance in the Rx 200-series and even the older Radeon 7000-series graphics cards. In other words, these may not actually be “new” graphics cards. Even though the new cards are launching a mere two days from now, PCWorld hasn’t received review samples for any of the R300-series cards (or the Fury X, for that matter). Considering that, the rumors, and the lack of technical details provided for these new 300-series graphics cards, you’ll definitely want to wait for reviews to hit before you pick up one of these, even if you could buy one Thursday.